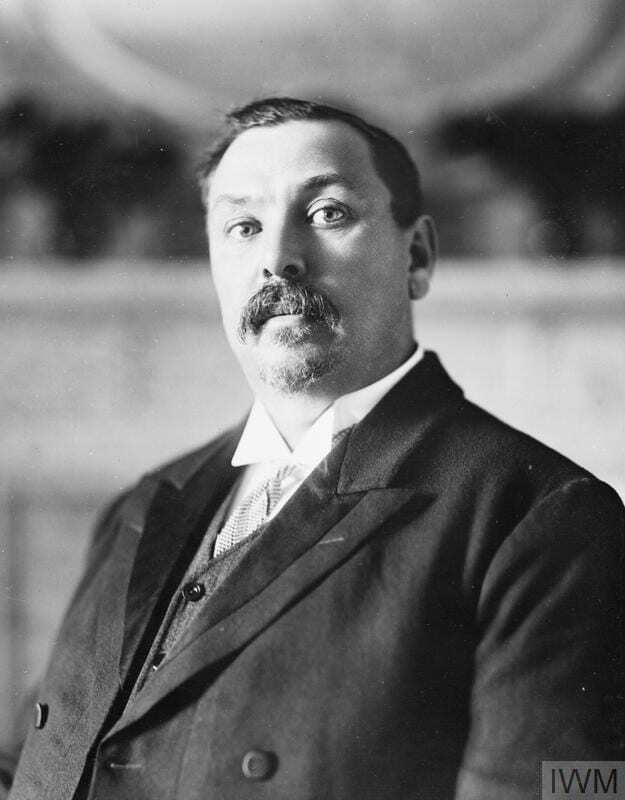 Back in 1911, the South African Prime Minister, Louis Botha who had fought against the British in the Second Anglo-Boer War of 1899-1902, announced to David Lloyd George that if an opportunity arose, South Africa would take it to include the neighbouring German colony into the Union of South Africa. The outbreak of war in August 1914 provided this opportunity. The British Government was not interested in territorial gain at the start of the war, and also uncertain as to how supportive South Africa would be during the conflict. It therefore requested that South Africa work to put the wireless station at Windhoek out of action. South Africa was prepared to do this and more, however, to allow South African troops to operate outside the borders of the Union, permission from Parliament would need to be obtained. This would not happen until 8 September 1914 when the new Governor General and High Commissioner for South Africa Sydney Buxton arrived. guarantee that permission would be given. 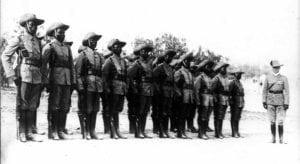 In anticipation of this, the Minister for War and Deputy Prime Minister Jan Smuts (later to lead the troops in East Africa and then join the British War Cabinet) ordered the newly formed Union Defence Force (UDF) into place along the borders. This was following a report that the Germans had crossed into Union territory at a place called Nakob near the Fish River Canyon. 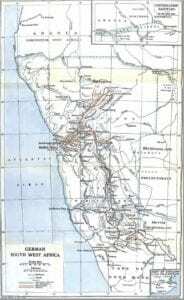 Where the border actually lay became an issue of discussion in Parliament but eventually, Parliament voted in favour of South Africa invading German South West Africa. This followed the following Monday. Sandfontein and a month later, the Union erupted in civil war, commonly called the Afrikaner Rebellion (and the Five Shilling Rebellion by a few). 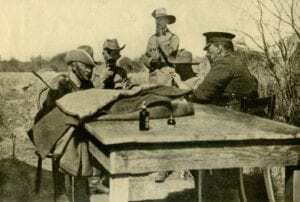 The troops were pulled back with Louis Botha personally taking over command of the forces against the rebels, the leaders of whom had been senior military officials General Beyers and De la Rey. By December the rebellion had been quashed and the forces were ready to resume their attack on South West Africa. During this time, the German forces had taken the opportunity to invade into Angola in the north at a place called Naulila. The destabilising of the area led to unrest for many years after. 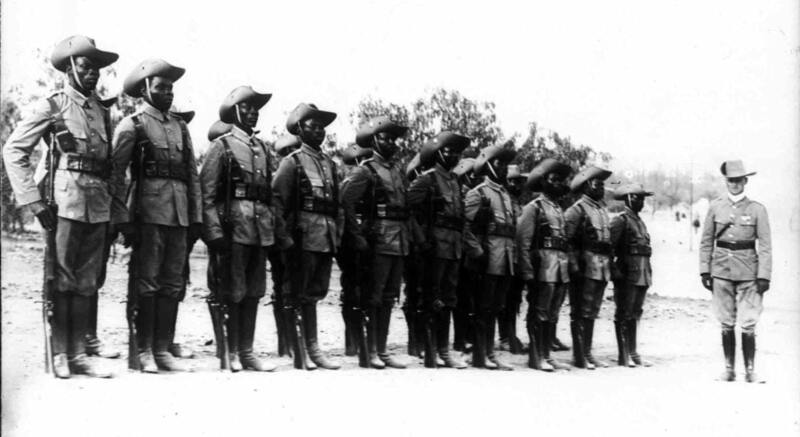 In January 1915, still under command of Louis Botha, the South African Union Defence Force, made up of volunteers, invaded South West Africa along three routes. 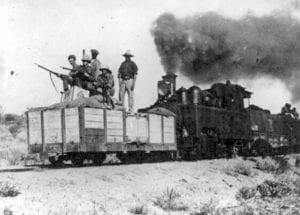 They followed the main railway lines due to the desert environment they were having to cross. To do this, they had to repair the lines the Germans destroyed as they withdrew. 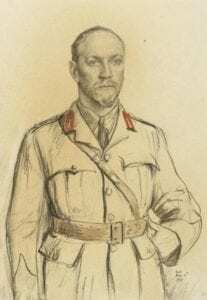 Louis Botha, possibly one of the greatest military leaders South Africa has had, chose to go across land having had wells and other infrastructure put in place as far as possible without arousing German suspicion. In this and the railway work he was ably supported by mining magnates, Thomas Cullinan and George Farrar, the latter losing his life on the job. On 9 July 1915, the Germans finally surrendered having been pushed into a corner. The whole ‘lightning’ campaign saw only 26 days of action in the six months of renewed action. The remainder was taken up getting material and water to where it was needed. The German Governor, Dr Seitz had hoped for a conditional surrender pending the outcome in Europe, however, Botha succeeded in obtaining unconditional surrender. The campaign into South West Africa saw the use of planes by both the German forces and the British. The British Navy played a crucial role in transporting men to the coastal bases from where the invasions took place, food, material and most importantly water. It was during this campaign, that the UDF became aware of the need for Lines of Communication and supply in an organised fashion; before this the Boer element of the UDF had functioned in commando fashion, living off the land as needed. This included medical infrastructure and the employment of black South Africans to assist with labour – railway building and animal care. The achievements of the UDF should not be underestimated: the UDF had only come into being in 1912 with the Union Defence Act. It brought together six different forces, all with their own way of working which had to be unified, and on the outbreak of war, the main military force in the Union, the Imperial Garrison was sent back to Britain except for one small group to provide advice and guidance to the Union Government. The departure of the Imperial Garrison saw all military equipment, including military hospital material, leave as well. South Africa therefore had to find equipment elsewhere to arm its forces: canon came from Malta, their operators from St Helena and the Portuguese supplied rifles. Volunteers brought their own hunting rifles and horses as part of the enlistment package. All things considered, this was a remarkable achievement, but not the first allied victory of the war as is often quoted: the surrender of Togoland on 26 August 1914 has that honour.